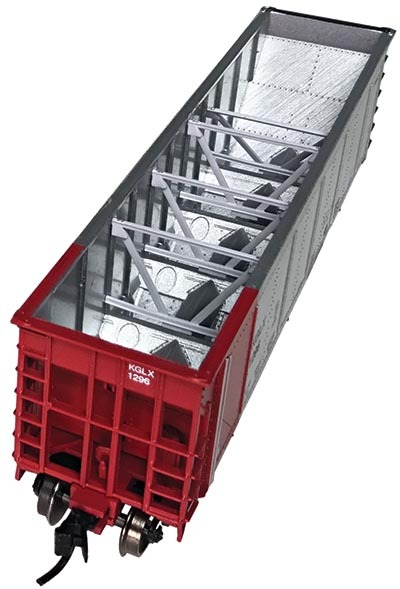 As with the passing of every year, freight cars are retired typically when they reach forty years of age, due to the Association of American Railroads’ (AAR) Rule 88 governing the maximum life for interchange service. Some cars live on for another ten years if they gain “Extended Service Status.” Such was the case during the 1990s, as a revolving supply of unit train gondolas and hoppers supported the transport of coal by rail in North America. As older hoppers were retired, many were replaced by a new car from Johnstown America called the AutoFlood II. Like most designs that reduce tare weight, the AutoFlood II is constructed largely of aluminum components. The lighter the car, the more coal you can haul! The AutoFlood II is designed to be emptied via its five discharge bays on the bottom, or inverted on a rotary car dump. ExactRail has recently released an N-scale model of the Johnstown America AutoFlood II in a number of paint schemes reflecting many of the owners and operators of these cars. The schemes for this first release include CSX, UCEX (Union Electric/Ameren), NRLX (Commonwealth Edison), and BNSF Railway in two paint schemes including aluminum with brown ends, and aluminum with green ends. Additionally, there are two special UCEX schemes offered with this release; one dressed in red, white, blue, and black to honor Ameren employees who are military veterans, and a special pink car to commemorate the fight against breast cancer. All schemes are prototypical and appropriate for this car, with all lettering and paint crisply applied on the examples we received. What I found to be an especially realistic feature is that the vertical posts and top and bottom horizontal chords of each car are painted in a darker aluminum color than the brighter aluminum seen on the body and slope sheets. Perhaps the most impressive touch is on the UCEX “On Track for the Cure” car, where you will find the car’s reporting marks also printed onto the side of each truck sideframe. I’ve never seen that before in N scale! A simulated coal load is provided with each car, cast in an appropriate low-sheen black plastic. The load is secured via a friction fit, and can be removed carefully by prying with a cocktail toothpick from one end. Unlike most coal loads seen on model railroads, ExactRail did a nice job of simulating the “bread loaf” shape of coal that was “flood-loaded” into the car, with a gentler slope at the tail end of the load compared to the front. With the load removed, the car reveals proper detail for the nine vertical posts on each side. The interior bracing is packaged separately inside the jewel box for the user to install. The bracing is a perfect friction-fit, but I would advise using trace amounts of Pacer Formula 560 Canopy glue to secure the parts long-term. This N-scale coal hauler weighs 0.625 ounces, which is about .4 ounces shy of the NMRA’s recommendation for N scale cars of this length. Those who insist can easily remedy this by adding additional weight under the provided load or into the cavities between each discharge gate on the underside as they wish. Micro-Trains 1015 couplers are installed in draft gear boxes which are body-mounted onto each end of the car. Each coupler is secured with screws against a flat draft gear cover secured to the metal center sill. Underneath each car is a pair of ExactRail’s own rendition of 100-ton capacity ASF Ride-Control trucks, and feature 36-inch metal wheels. The trucks are also secured to the car using flat-headed metal Phillips-head screws. 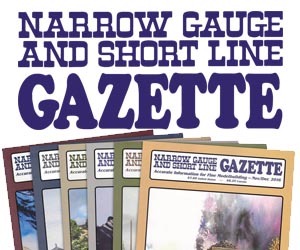 Both coupler height and wheel gauge were on spec against our standards gauges. ExactRail’s N-scale AutoFlood IIs are designed to operate with a minimum operating radius of 11 inches. We had no issues with these cars on our test layout. Folks who enjoy railroading of the late-1990s to the present day will find these colorful cars essential in replicating many unit trains across North America. 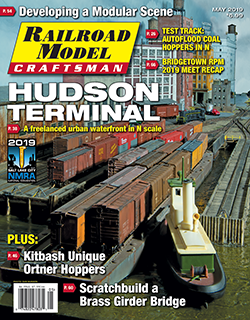 This review appeared in the May 2019 issue of Railroad Model Craftsman.